Is There Supposed to Be Ice on My Air Conditioner? Signs You Should Install a Water Treatment System? This is a question many homeowners in Orange County ask themselves. Water quality is often in the news, and people are more concerned about the health conditions of the water they drink and cook with and bathe in. Simple filtration pitchers don’t seem like enough if there are high levels of impurities in the water entering a home through the water main. We’re a plumber in Irvine, CA who handles water treatment system installation. We can provide guidance for whether putting in a water treatment system is a good idea. There are ways you can tell you have too many impurities in your household’s water. This is the simplest way to find out if you require water treatment and what type. Even if you don’t notice signs of impure water, it’s a wise idea to have water testing done at some point. When you schedule water testing, professionals will take water samples from around the house, then send the samples to a lab. The lab returns a detailed breakdown of chemicals, heavy metals, and other contaminants, and the professionals can offer the best solutions to purify the water. One of the early and most potent indications of poor quality water are bad smells. The rotten egg smell is the most common, and this usually indicates excess sulfur in the water. Other odors to be cautious of are metallic and chlorine. Water doesn’t have a natural taste, but many harmless minerals in the water may give it a slight distinctive—although not necessarily “bad”—taste. But if you dislike drinking the water from your taps because of how it tastes, this is a big warning of impure water. A common water quality concern is hard water, which is water that has too many minerals such as magnesium and calcium suspended in it. These hard water minerals aren’t harmful to drink, but they can cause numerous problems in the house and for the plumbing. One sign of hard water is faded and gray clothing that’s gone through the wash. This is the effect of the hard water minerals on fabric. Another side effect of hard water is it makes it difficult for soap to properly dissolve, leaving a soapy residue on your skin and hair after bathing or showering. 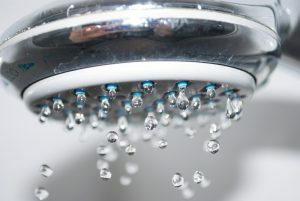 When you notice itchy skin and hair that lays flat no matter how much you wash it, hard water is the likely culprit. This is a sign we hope you don’t run into, but if there are bacteria and viruses in your water system, they will create a noticeable rise in sickness among people in the household. Don’t hesitate to call for water testing. Once you’ve had water testing done, you’ll know if you need a water softener, various water filters and purifiers, a reverse osmosis system, or other type of water treatment. Call Saddleback Plumbing for fast professional repairs and for new water treatment system installation in Orange County. © 2008–2019 Saddleback Plumbing. All rights reserved.